Setting up the accessory is easy, as one would hope for. 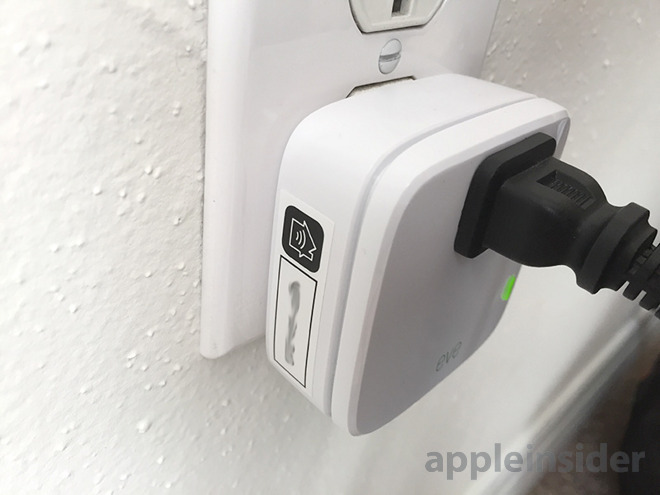 After downloading the Elgato Eve app for iOS and installing the plug, owners can then just scan a label to complete HomeKit pairing. At that point the app lets users assign a name, room, and/or a zone to the device. At its most basic, there are two advantages to the Eve Energy: remotely turning something on or off, and monitoring power consumption. 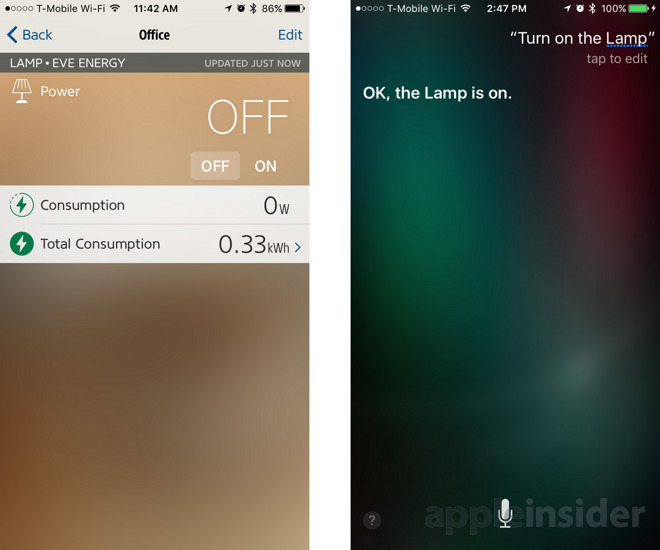 For the former, you can use either Siri or the Eve app —it's potentially faster to use the app, but Siri is normally the best option. As usual, you can't control any HomeKit devices away from home unless you have an Apple TV to serve as a hub. Despite using Bluetooth instead of Wi-Fi, we found the plug to be consistently fast and responsive. Of course, people with especially large homes may want to seek out a Wi-Fi accessory instead, though people in apartments or small- to medium-sized houses should be alright. 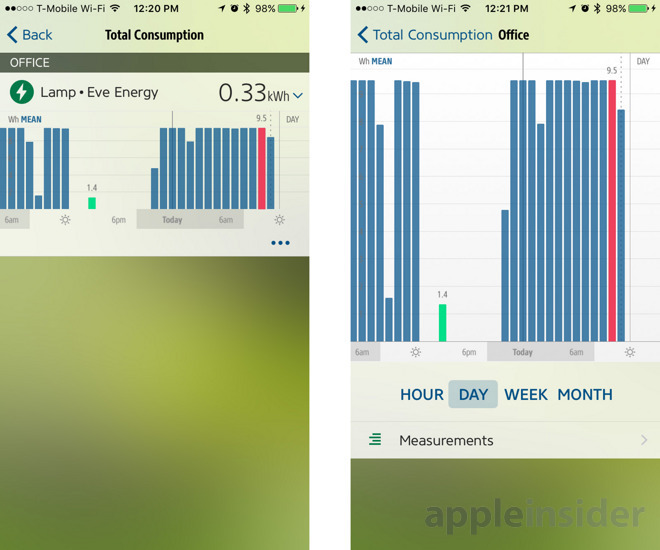 When tracking consumption, the app offers separate views for current and total power usage. The latter is probably the most useful function, offering hourly, daily, weekly, and monthly graphs, not just for a single accessory but for any Elgato product registered with the app, organized by room. This can be handy for people trying to narrow down the cause of expensive bills, or running off a limited power supply. 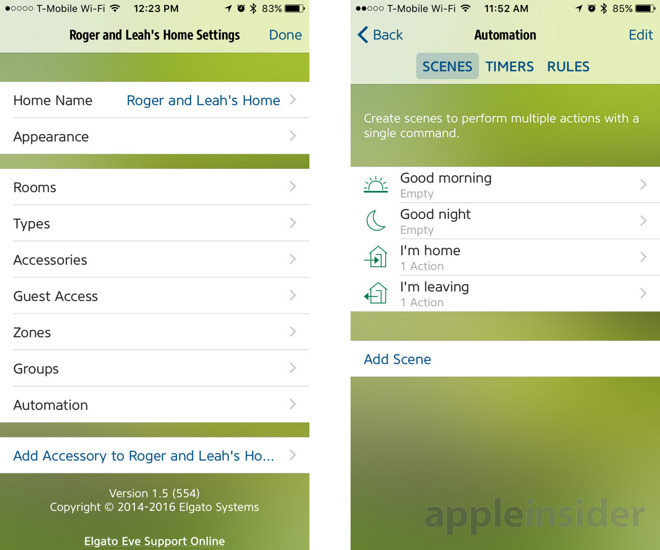 In the app's Settings menu, you can set up groups, zones, and automation, much as with other HomeKit products. This where the Eve Energy's dependence on Bluetooth rears its ugly head again though, since trigger rules (like arriving home) can't be set for Bluetooth devices. That fundamentally limits how "smart" the Eve Energy can be. In fact this makes the product a dicey value proposition, especially when you consider the other limits of the hardware. It can't be used outdoors, and there's just a single socket, which feels ludicrous for something that costs $50. Even a second socket would make it seem like a better value. That's just a fundamental problem with HomeKit at the moment, however. Many compatible accessories are overpriced, making it hard to justify the idea of a fully-equipped house. Indeed, the platform still feels like it's in a rough state. Until costs come down, and Bluetooth is phased out or given more automation support, shoppers will have to be very careful about what they buy. The Eve Energy might be fine for you, but be sure to do comparison shopping first. 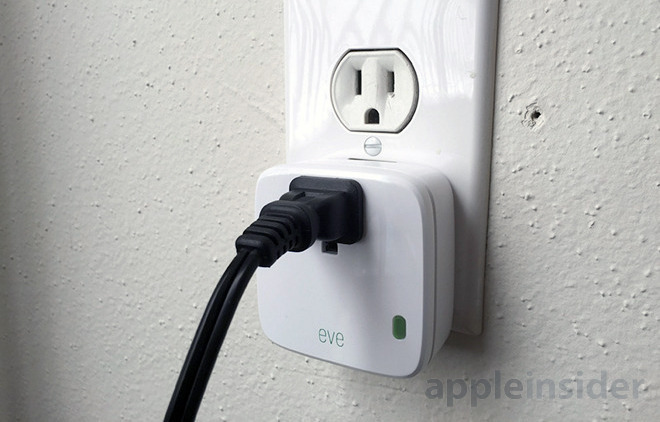 The Eve Energy costs $49.95 at the Elgato website or Amazon.com.